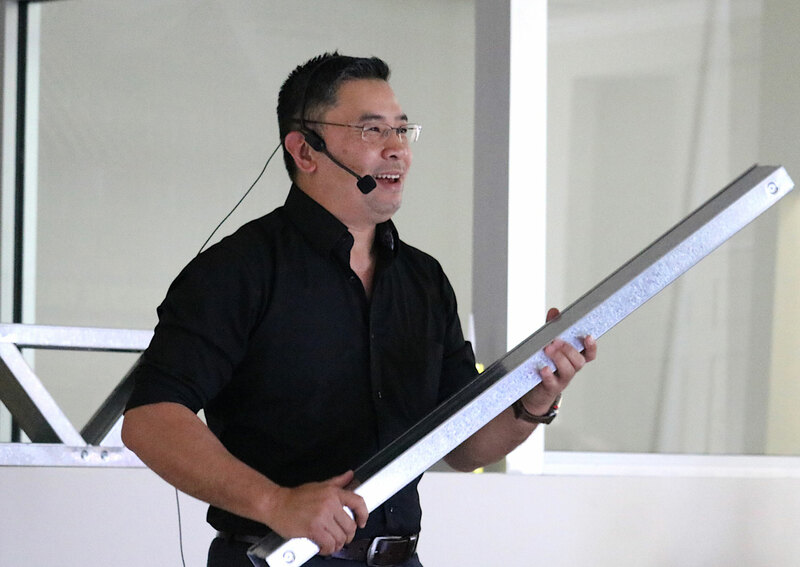 Steel Framed construction should be utilised more in Trinidad and Tobago according to Bobby Liu, General Manager, Steel Framing Systems (SFS) International. Speaking at an engineering seminar in Trinidad and Tobago, the Australian noted that the climate in the Caribbean is ideal for this type of construction instead of the conventional methods currently being used which is less efficient. “When you look at normal construction you are relying on workmanship, you rely on products you get from outside and you have to manually modify. For example a lot of roofs I have seen around here is basically manually cut and wielded. So what’s wrong with that? The thing is if you have a very good day then you get very good construction. If you have a bad day then maybe not so good. There is a lot of what I call patch it up on sight especially when it comes to concrete construction,” said Liu. He continued “Now I have watched some of the masonry construction in the early days when I came to Trinidad and I notice that you build a building and then when you decide to put in electrical you go and cut a section out and put your electrical conduits and plumbing in and everything is just repeat repeat repeat. With Steel Framed, what this company (Steel Framed Engineered Solutions) can deliver is a solution that goes up fast and all the services are pre-done for you so you can run your electrical, run your plumbing without having to do remedial work after." He explained that the computer designed steel-framed system used by Steel Framed Engineered Solutions is extremely accurate and will expedite the construction of a house or roofing projects. Consistency in a steel framing product means we have to have an accuracy of plus or minus one millimetre. All our connections are plus or minus one millimetre. If you have a look at the products that are coming out they are very straight and there is no twist or no wharp. How do you achieve that?....Steel Framed Engineered Solutions has invested massively into a piece of equipment that allows them to deliver a consistent product over and over and over,” Liu revealed.